Triquetra Knot – also known as the trinity knot, is the most well-known knot and is most often associated with the Holy Trinity. The joining of the three half circles creates a clover-like shape with three pointed ends. 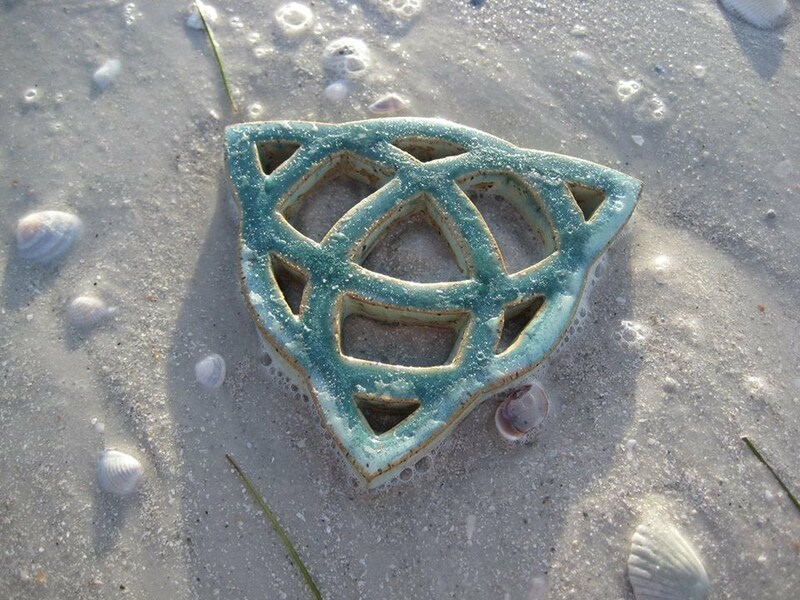 This early Celtic symbol predates Celtic Christianity yet has come to be represent the strongest symbol in Christianity. It may also represent the three goddesses, or sisters, of Irish sovereignty. This knot can be found in the illustrated manuscripts, as well as on crosses, chalices and other religious objects.